Richard Bauckham. Gospel Women: Studies in the Named Women of the Gospels. Grand Rapids: Eerdmans, 2002. Richard Bauckham is without a doubt an exceptional scholar of both biblical theology and the non-canonical texts of early Christianity and Second Temple Judaism. Gospel Women focuses that immense knowledge and research skill into the topic of the women named in the 4 Gospel accounts, and brings into the conversation the material regarding these women in apocryphal texts. By working together his incredible mind for cataloging and interpreting the texts of Judaism and early Christianity with modern feminist hermeneutics, and complementarian objections, Bauckham shows a multiplicity of skills and keen awareness of modern methodologies (though the methodology discussion in the intro and first chapter can be a bit dry, they do perform an important function). At times Bauckham brings a bewildering onslaught of evidence and analysis, bringing every imaginable piece of data to bear. At times this becomes a distraction from the specific purpose of the text (for instance bringing a lengthy discussion of the origins of the name Chuza, Joanna’s husband, which doesn’t contribute all that much to the discussion of Joanna). Some sections could have been condensed without hurting the overall impact of the book, and also could have afforded more room for discussing the women who were left of this study (Mary Magdalene doesn’t get a specific chapter, nor do Mary & Martha, which are notable exclusions) and perhaps a summary/conclusion chapter at the end. The book is over 300 pages and still leaves these aspects out, which speaks to the immensity of the data included and analyzed. Given the paucity of references to women’s function in the narratives, it is incredible how much Bauckham has unpacked for us through bringing in the non-canonical traditions, historical context, and evaluating the validity of feminist reinterpretation. 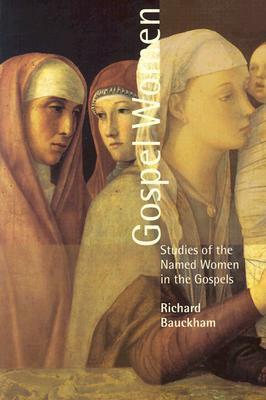 Bauckham brings much needed attention to the role of the specific inclusion of several women in the text of the Gospel accounts. His detailed investigation into Joanna, and her possible identification with Junia, mentioned by Paul (Rom. 16:7) is very intriguing, though of course not completely verifiable, and his critique of Grudem, Wallace and Burer is overwhelming and definitive in demonstrating that their reading which excludes Junia from the apostles is simply not warranted by the textual evidence or the historical evidence. That chapter alone makes this volume worth every penny. Bauckham’s conclusions are somewhat modest, given the incredible evidence he brings, but he ultimately concludes that although the text of Scripture indicates a role for women in apostolic witness bearing and preaching of the kerygma of the early church, the cultural conditions did result in significant limitations in the expression of that equality. So egalitarians may feel Bauckham doesn’t go far enough, but those who exclude women from offices or functions of authority in home and church will be pushed and challenged by the evidence as it is presented here. This entry was posted in books, Complementarianism, egalitarianism, hermeneutics, New Testament, theology. Bookmark the permalink. Chris, good question. That is usually how it’s understood. Paul said “Am I not an Apostle? Have I not seen the Lord?”. Paul says Junia is his kin (meaning she’s Jewish) and in Christ before he was. Given the timing of Paul’s conversion, the odds are good that Junia was part of the Jerusalem Church or had encountered Jesus in Palestine. Bauckham and Ben Witherington III have both argued that Junia is one and the same as Joanna, wife of Chuza (Luke 8). That’s obviously only speculative, and can’t be proven with the evidence available. But it is intriguing.